Notes: Basal rosette of whitish oval leaves. Flowers on almost bare stalks extending above the sparse plant base. 53 species of Eriogonum in Arizona. 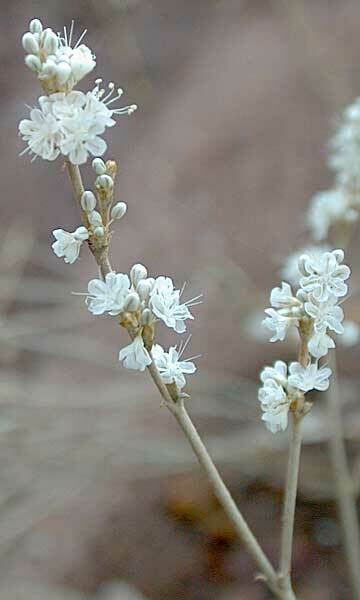 The CALFLORA database entry for Wright's Buckwheat is available. Photos of this plant may be seen on the CalPhoto plant website. Bastardsage plant profile on the USDA Plants server.